Ready to explore the newest restaurant additions to Rock Hill? From a Mexican restaurant to a brewery, read on for a list of the newest hot spots to open near you. 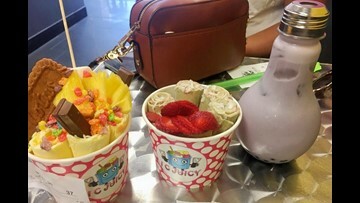 Inspired by a trip to China, the owners behind I C Juicy — located at 725 Cherry Road, Suite 123 — offer bubble tea, rolled ice cream and other Asian-inspired frozen treats. Look for notable menu options like the Morning Latte rolled ice cream with condensed milk, coffee and chocolate chips; strawberry boba milk tea; and passionfruit smoothies and slushies. Check out the full menu here. Stroll past 1415 Riverchase Blvd. and you'll find Los Cantaritos, a new Mexican spot. According to the restaurant's website, a cantarito is "a traditional Mexican cocktail named after the handmade clay jug that it is typically served in." This signature cocktail mixes gold and silver tequila with orange, grapefruit and lime juices. Beer and margaritas are also on offer. Start your meal with guacamole fresco — avocado, tomatoes, onion, cilantro and a hint of lime, made table-side. 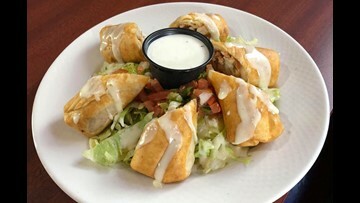 Notable menu options include nachos, quesadillas, chimichangas and burritos. A wide assortment of vegetarian and seafood dishes are also on available. See the full menu here. 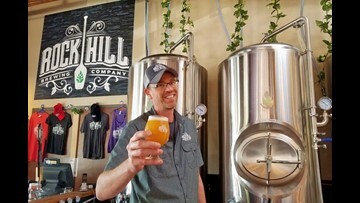 Rock Hill Brewing Company is a new brewery that's located at 121 Caldwell St., Suite 101. Five beers are on tap, with beer options as the Double Pale Ale and Stout, the Belgian White and Southern Cerveza. The brewery also offers a variety of wines. Hungry? Go around the corner to Millstone Pizza, as the two establishments have a partnership.